This is one of the most exciting bulls we have ever offered. Strikin Gold is the total package sire. He truly hits every single criteria point that we look for when selecting our sire prospects. Strikin Gold is as stout a bull as we have seen in the last 20 years. 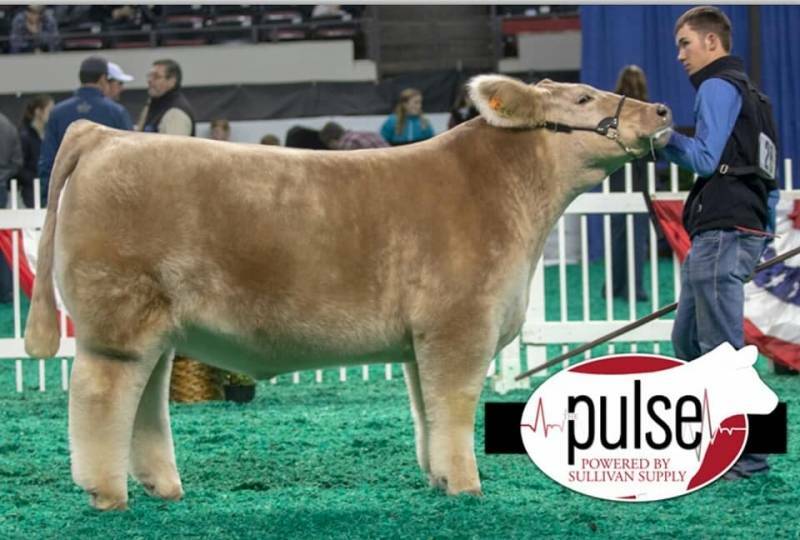 He is so sound and functional, huge bellied, great looking through his front one-third and combines the most dominate cow families in the Charolais breed, FireGirl (Firewater x Thomas Ms Impressive 0641). 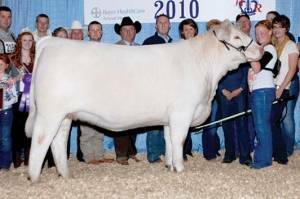 FireGirl’s first natural calf was reserve calf champion at the 2011 North American and sold for $25,000. 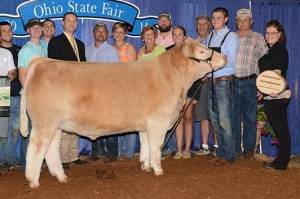 Strikin Gold’s full brother was named grand champion steer at the 2014 Ohio State Fair, a full sister to Strikin Gold sold at Garwood Cattle Company for $27,000 this past fall and the 2014 reserve pen of Charolais bulls in Denver where all out of FireGirl. 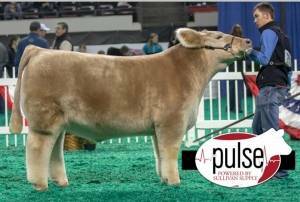 We haven’t even mentioned all of the full sisters to FireGirl that have been so successful in the show ring and the donor pens. 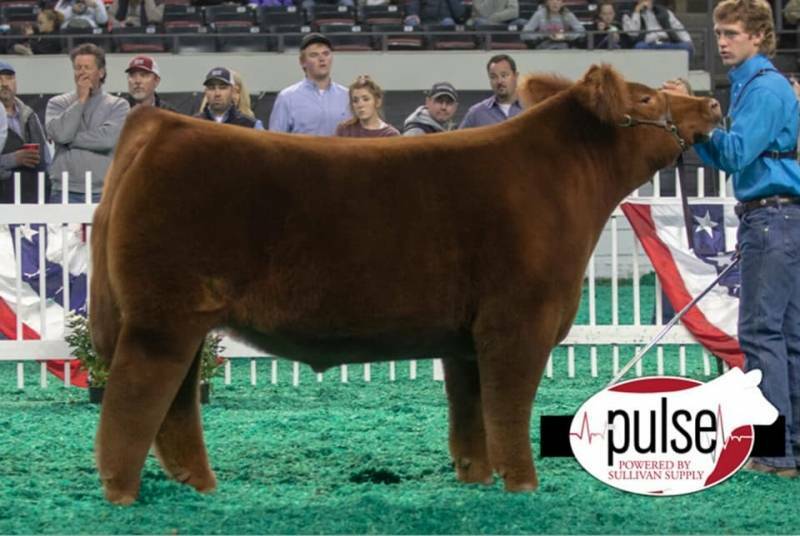 Strikin Gold has all the pieces and the right pedigree to become the most consistent and dominate colored bull of all time.